No Kids On The Floor! See how the HFB works with the community to create a healthy living environment where no child sleeps on the floor. Our Story began in 1992 when the Mental Health Mental Retardation Authority of Harris County (MHMRA) initiated the Furniture Bank to serve patients who were transitioning out of mental health facilities. 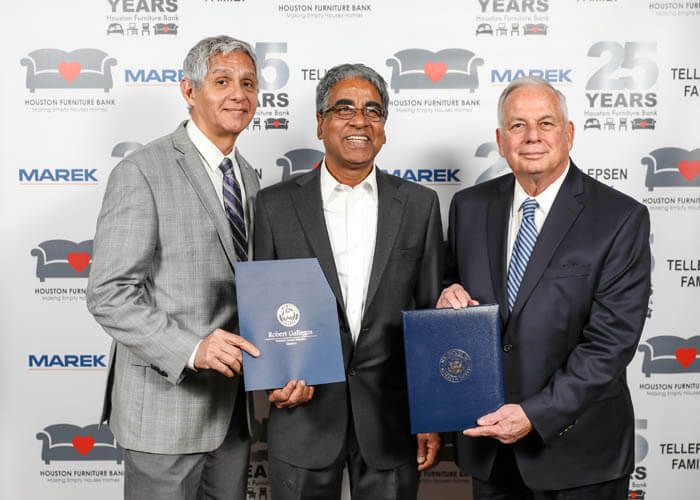 Three years later, the Furniture Bank service was extended to other Harris County non-profit agency clients. By the end of 2003, Houston Furniture Bank had been established as an independent organization serving the Greater Houston Metropolitan area.